From time to time, Redbird customers will call or email us on this topic, so we thought we’d put it online for others to easily check out as well. 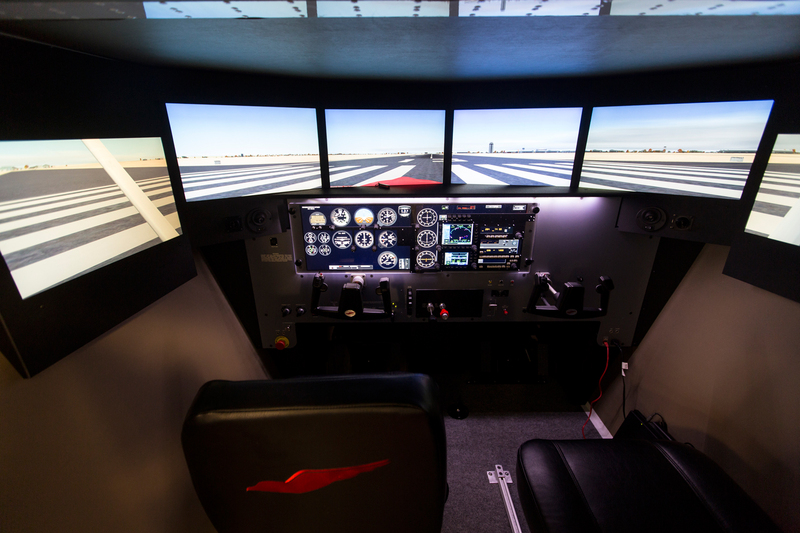 Question: If Redbird’s Letter of Authorization (LOA) allows up to 2.5 hours of time in an aviation training device to be credited towards private pilot certificate aeronautical experience and FAR 61.109 requires 3 hours of training solely by reference to instruments, can 2.5 hours of the required 3 hours of instrument training be done in the Redbird AATD? 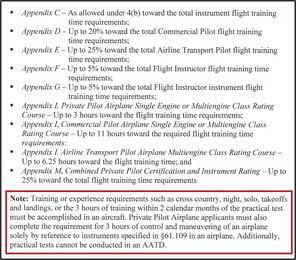 When meeting the Part 61 aeronautical experience requirements for a private pilot certificate for an airplane single-engine rating, as long as you follow the guidelines above, one could apply for the certificate with 37.5 hours of aircraft time and 2.5 hours of AATD time and meet the 40 hours of flight time required.